November was an exciting month. 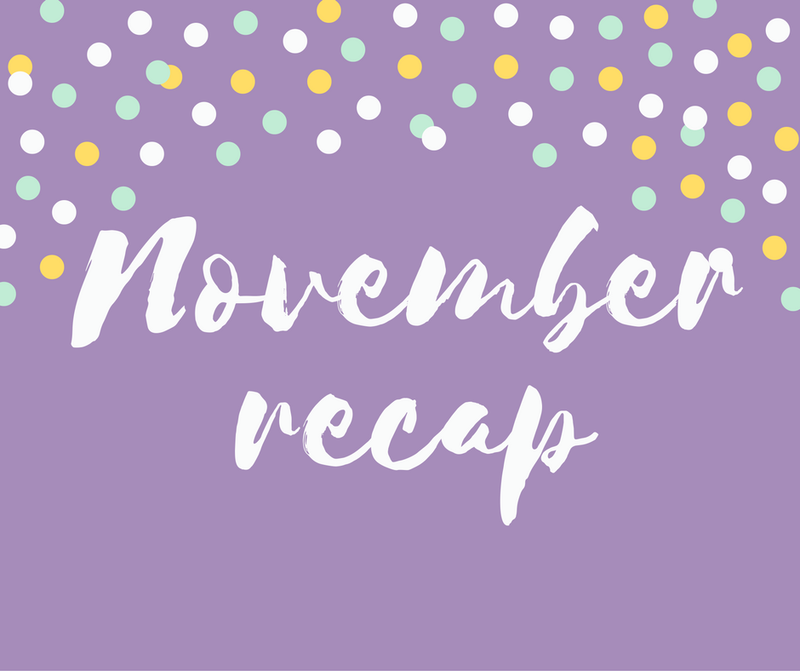 I updated the blog a lot and attempted NaNoWriMo. It went by super quickly and I’m so excited that Christmas is almost here! I only read one book this month and I’m glad it was this one. The Sun is Also a Star. My review should be up later this week. I had a birthday. My birthday was great, my mom made me cheesecake and my students showered me with handmade cards. It was great. I changed my blog, a lot. It got a new shiny URL with a name to match. I’m way happier with my blog now than I was before. I failed NaNoWriMo. Which makes me sad, but if I hadn’t failed it then I wouldn’t have started editing my Camp NaNo book from April. I took my class to the aquarium. It was super fun, we learned a lot, and I sort of want to write a story involving an aquarium now. I met Nicola Yoon. It was a lot of fun, I’m still working on my post for that even though.